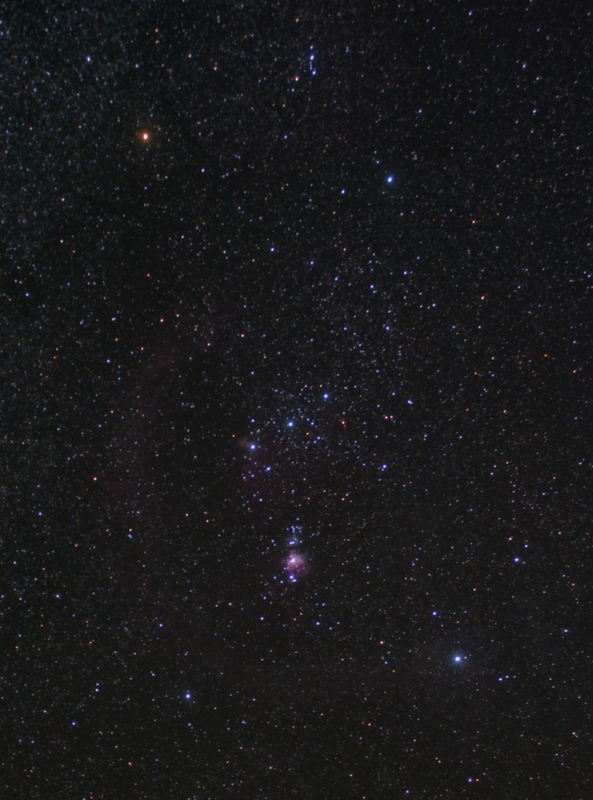 Here is a wide field image of Orion taken with a simple piggy back setup. The camera was mounted on top of my scope mounted on an equatorial mount. The image was not guided. Processing Image calibrated with darks, flats, flat darks and bias frames using Images Plus. The image has had a simple arcsinH strecth applied and then the central part was cropped to remove the distortion at the field edges..